A fresh and elegant pair of 9ct white gold stud earrings, set with subtly sparkling diamonds for a touch of glamour and indulgence. Perfect for every occasion. 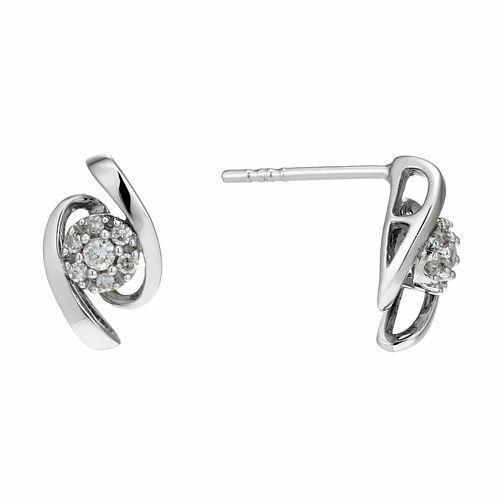 9ct White Gold 10 Point Diamond Wave Stud Earrings is rated 4.8 out of 5 by 6. Rated 5 out of 5 by Anonymous from Definitely recommend The earrings were just like they were on the picture and she loved them.